Following the EHEDG certification of P53 series hygienic ultrasonic sensors from PIL Sensoren GmbH, hygienic mounting kit specially developed for these sensors have now received the same certification. Following the EHEDG certification of P53 series hygienic ultrasonic sensors from PIL Sensoren GmbH, hygienic mounting kit specially developed for these sensors have now received the same certification. Consisting of two bolted-together semi-shells with one hole each to accommodate the sensor ends, these installation sets can be used to securely attach P53 sensors to walls or enclosures. When the parts are screwed together, FDA-approved food-safe gaskets made from 70/101 grade silicone are firmly pressed onto the conical ends of the sensor, which reliably and hygienically seals the gap between the sensor and the mounting kit. The „Steel Head“ P53 sensors and EHEDG-compliant mounting kits make PIL one of the few manufacturers of rugged ultrasonic sensors that are truly comprehensively suitable for use in applications with demanding hygienic requirements: due to its gapless design, the fully encapsulated, 30 mm wide housing of the P53 can be kept perfectly clean. Like the mounting kit, it is made from polished V4A grade stainless steel with a surface roughness of <0.6 µm. The sensors feature a narrow ultra-sonic beam with a range of 150 to 1,500 mm, which makes them very versatile for use throughout the food and beverage sector as well as the chemical and pharmaceutical industries. Versions with analogue output (4..20 mA) are supplied with pre-set response curves, while models with a switch output allow for a quick and easy adjustment of the desired switching points via teach-in. "Steel Head" sensors are safe to clean with high pressure or steam jets thanks to their high ingress protection class (IP68/IP69K) and extended temperature range of -15 °C to +80 °C. They are ECOLAB certified and can therefore even be treated with aggressive chemical cleaning agents. 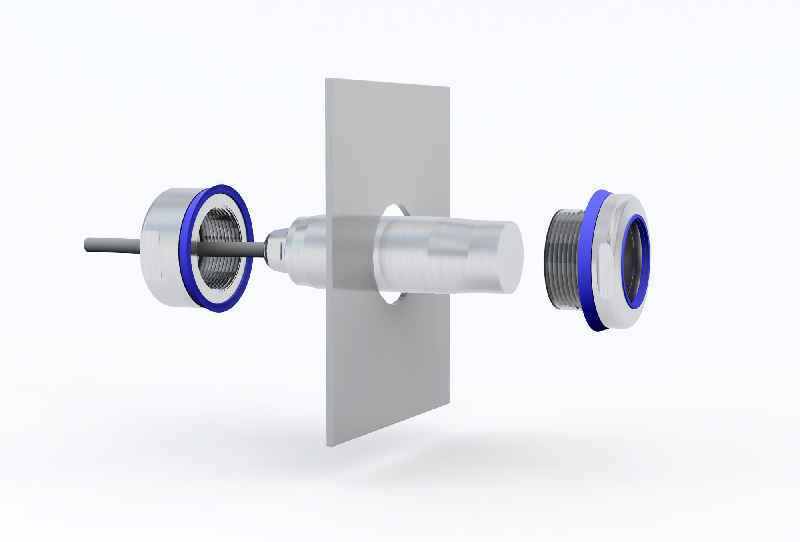 With a food-grade cable and hygienic cable gland, PIL ultrasonic sensors meet EHEDG requirements at the connecting end as well. These superior characteristics make the PIL P53 system virtually the only off-the-shelf hygienic sensor solution on the market.